Since last two decades, the major cancer research has focused on understanding the characteristic properties and mechanism of formation of Cancer stem cells (CSCs), due to their ability to initiate tumor growth, self-renewal property and multi-drug resistance. The discovery of the mechanism of acquisition of stem-like properties by carcinoma cells via epithelial-mesenchymal transition (EMT) has paved a way towards a deeper understanding of CSCs and presented a possible avenue for the development of therapeutic strategies. In spite of years of research, various challenges, such as identification of CSC subpopulation, lack of appropriate experimental models, targeting cancer cells and CSCs specifically without harming normal cells, are being faced while dealing with CSCs. Here, we discuss the biology and characteristics of CSCs, mode of acquisition of stemness (via EMT) and development of multi-drug resistance, the role of tumor niche, the process of dissemination and metastasis, therapeutic implications of CSCs and necessity of targeting them. We emphasise various strategies being developed to specifically target CSCs, including those targeting biomarkers, key pathways and microenvironment. Finally, we focus on the challenges that need to be subdued and propose the aspects that need to be addressed in future studies in order to broaden the understanding of CSCs and develop novel strategies to eradicate them in clinical applications. Cancer Stem Cells(CSCs) have gained much attention in the last few decades due to their ability to initiate tumor growth and, self-renewal property and multi-drug resistance. 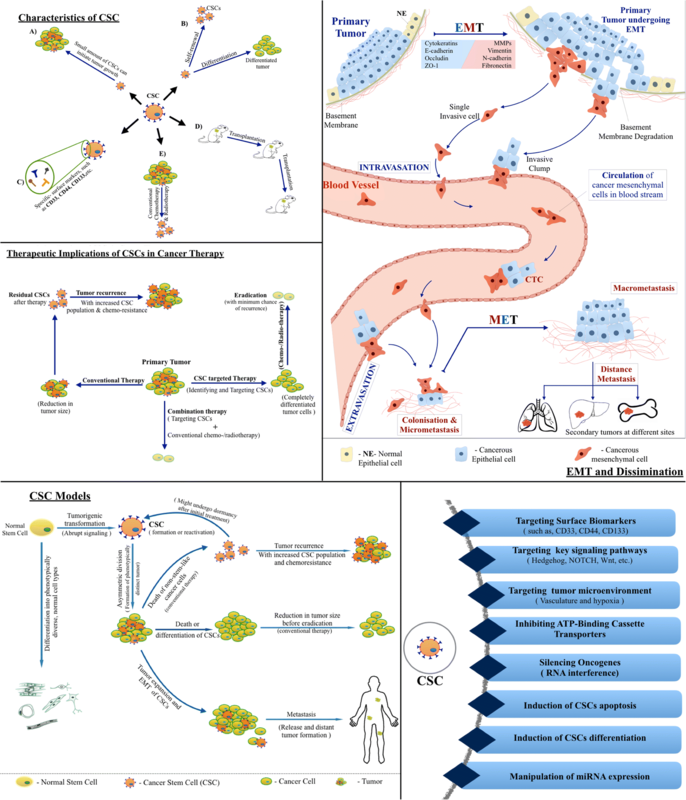 Here, we represent the CSC model of cancer, Characteristics of CSCs, acquisition of stemness and metastatic dissemination of cancer, Therapeutic implications of CSCs and Various strategies being employed to target and eradicate CSCs. Al-Hajj, M., Wicha, M. S., Benito-Hernandez, A., Morrison, S. J., & Clarke, M. F. (2003). Prospective identification of tumorigenic breast cancer cells. Proceedings of the National Academy of Sciences of the United States of America, 100, 3983–3988. https://doi.org/10.1073/pnas.0530291100. Chen, W., Gao, Q., Han, S., Pan, F., & Fan, W. (2014). The CCL2/CCR2 axis enhances IL-6- induced epithelial-mesenchymal transition by cooperatively activating STAT3-Twist signaling. Tumour Biology. https://doi.org/10.1007/s13277-014-2717-z. Tang, W., Hao, X., He, F., Li, L., & Xu, L. (2011). Anti-CD44 antibody treatment inhibits pancreatic cancer metastasis and post-radiotherapy recurrence. 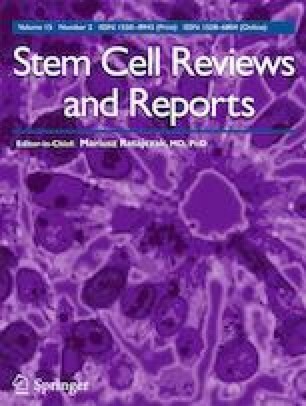 Cancer Research, 71, 565. https://doi.org/10.1158/1538-7445.am2011-565.